Propex design and produce a range of heating solutions for both the marine and automotive industries. With similar leisure pursuits we struck up a good relationship and have been happy to help the team with a new marketing look and direction. A bespoke booklet with introduction pages and holder for product inserts and business cards was designed with a new cleaner modern feel. 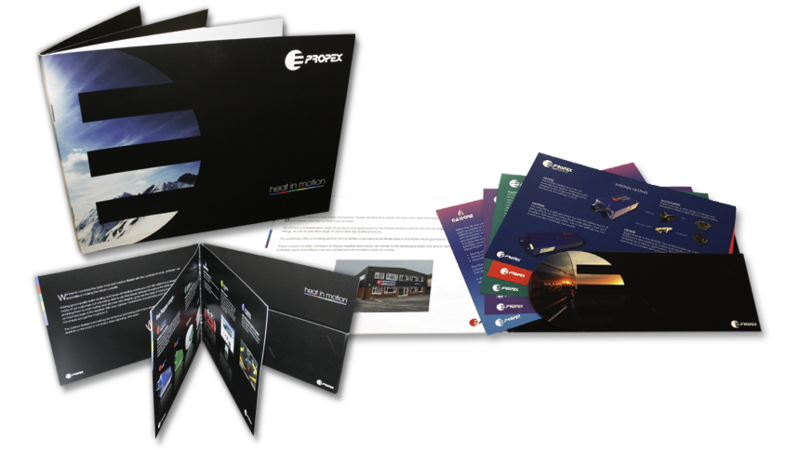 Finished with matte print and spot UV this booklet has been very useful to the team at festivals and trade events.